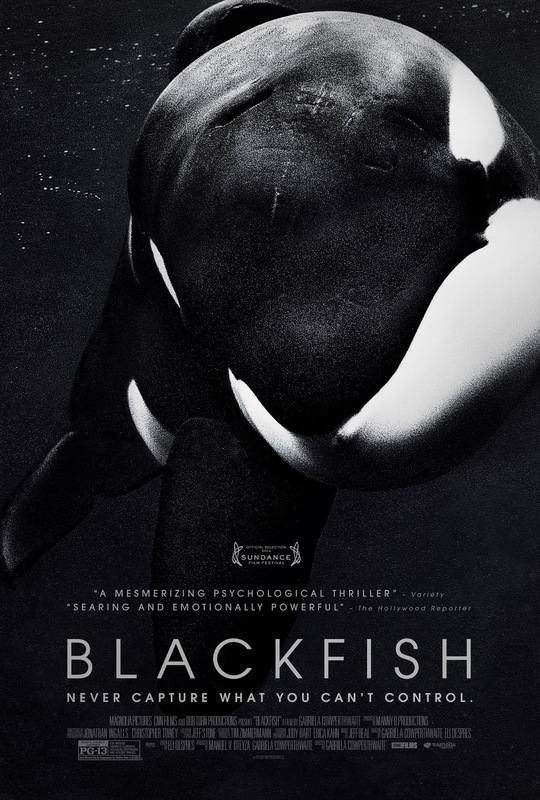 Essential plot rundown: This documentary looks at how a captive whale, Tilikum, had killed 3 people specifically and at captive orcas in general. I never heard of this movie until Magnolia Pictures started blasting their Facebook page with it. So naturally, I checked it out, thought it looked good, and drove a half hour to go see it. This is a pretty interesting documentary, but not without it's problems. 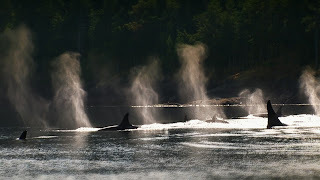 The orca footage is pretty cool. They are such majestic creatures that it's hard not to be in awe of them, especially on the big screen. And video of the whale attackings is horrifying. It doesn't show anything graphic, but it is still pretty intense because you know those whales can kill those people without hesitation. The filmmakers also do an effective job humanizing the captive animals. It is quite sad watching a calf being separated from its mother. And that's actually all I have to say about the good stuff. And now to the bad. The biggest and most obvious is that this documentary is pretty one-sided: SeaWorld is bad. They interview a lot of former SeaWorld trainers which is good; but they only have one person who is pro-marine parks. It did say that SeaWord refused to be interviewed, but they could have found some more pro-SeaWord people to talk with to make for a more balanced discussion. But you know going in that this type of movie has an agenda. The only other complaint was that, as times, I was a little disorientated. They start talking about one incident, then move to another one without much of an indication. Sometimes I was confused on which whale was attacking who and I never knew when the attacks occurred. Also, there are times where there were too many interviews and not enough killer whale footage. But overall, it is a pretty good documentary. A little one-sided (ok, a lot one-sided), kind of slow in some parts, but when it gets intense, it's intense. I'd recommend it to anyone, whether they're pro- or anti- SeaWorld.